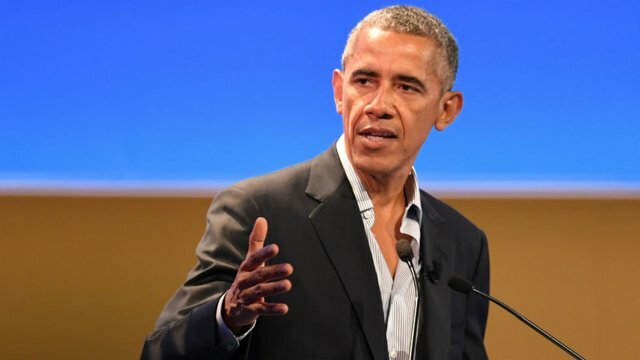 Former President Obama says he doesn’t believe that Democrats would be making a mistake by selecting another woman or person of color for their presidential nominee in 2020. “That kind of stuff, I don’t buy," Obama said during a podcast interview with David Axelrod, a CNN political commentator and his former top strategist, when asked if Democrats need a candidate of a certain gender or race to defeat President Trump. “With respect to going forward, the idea that there’s some demographic or profile of a particular candidate that is the optimal one or the ideal one, that’s just not how I’ve seen politics work,” Obama continued. “I think people respond to candidates who speak to the moment in some fashion." His remarks come a month after lawyer Michael Avenatti said in an interview with Time magazine that he believes the 2020 Democratic nominee "better be a white male," though he also added at the time that he wishes it weren't so.